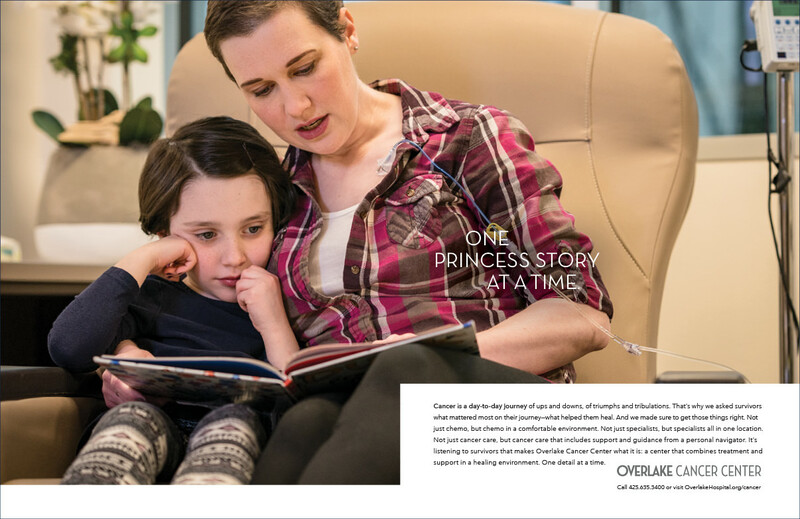 “Cancer is a day-to-day journey of ups and downs, of triumphs and tribulations…” begins the campaign Hydrogen created for the new Overlake Cancer Center in Bellevue, Washington. Featured in Alaska Airlines, 425 and Seattle magazines, KIRO and Pandora radio, the print, radio and digital campaign broke in January of this year. Obviously, cancer isn’t an easy thing to talk about. And most people prefer not to talk (or think) about it—until they are faced with a diagnosis. At that point, there are often more questions than answers. 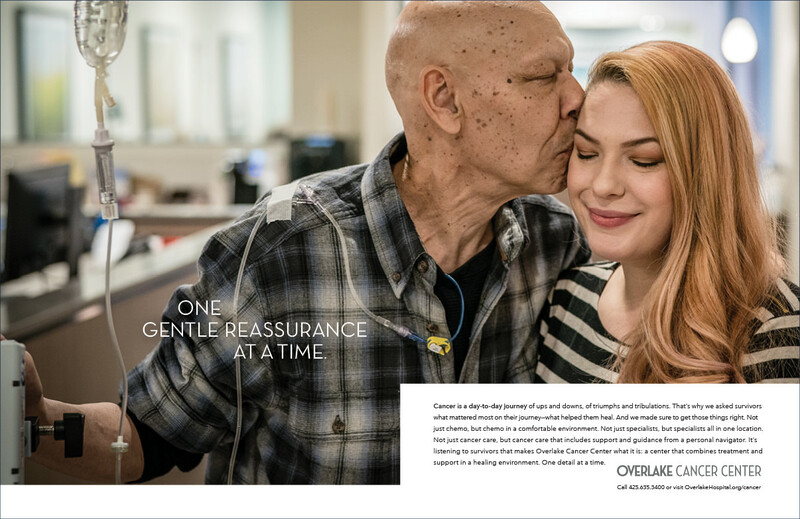 Which is why Overlake created a new Cancer Center designed by cancer survivors, current patients and staff to ensure that care is centered on, and in service of, patients first. To announce the new Center, we highlighted what mattered most from survivors—and focused on the “little details that make a big difference” in our campaign. 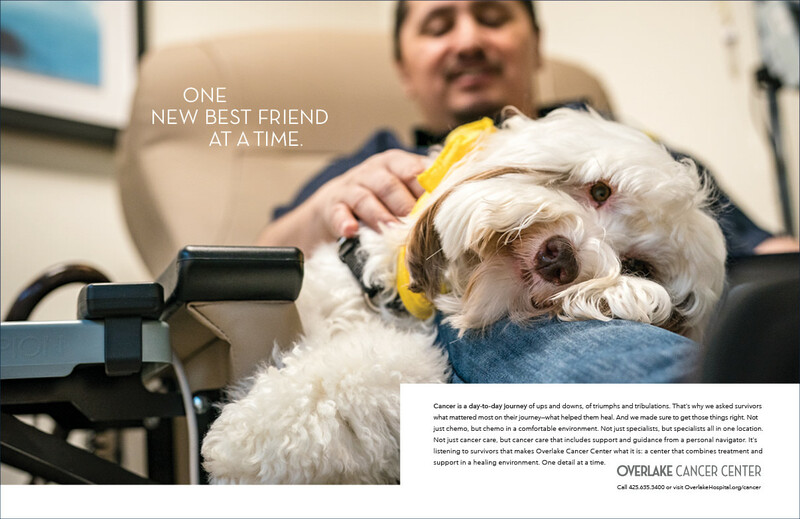 The print ads feature Overlake patients and highlight many of Overlake’s differentiating details including creating a more comfortable environment for chemo, access to therapy dogs, and the ease and comfort of having all specialists in one location. 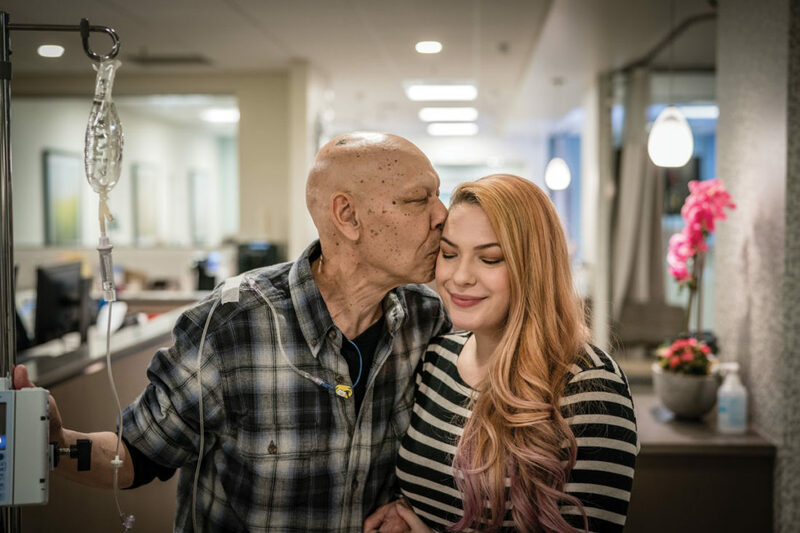 The work was designed not only to articulate the “Overlake difference,” but to underscore the unique combination of treatment and support in a healing environment.